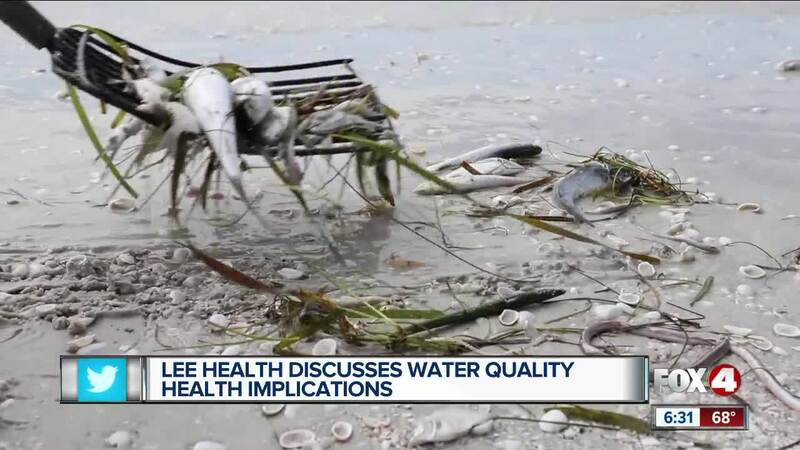 The Lee Health Board met Thursday to discuss how it will start monitoring patients who might have been exposed to blue-green algae and red tide toxins. Environmentalists say more needs to be done. FORT MYERS, Fla. -- Water quality issues are no stranger to Southwest Florida. Blue-green algae and red tide has impacted both our marine life and tourism. It also has impacts on our health. The Lee Health Board has a new approach at monitoring patients exposure to these toxins. “It’s public awareness not public alarm, ” said Dr. Marilyn Kole, Lee Health. The Lee Health Board is using what it calls the Red Tide Best Practice Alert for people going in to see the doctor. “To make sure that we are getting the proper screening of patients who have been exposed and reporting that and allowing the Department of Health have that information available in our health records,” said Dr. Kole. Lee Health is also hoping to find out how toxic algae in seafood impacts us. Florida Gulf Coast University recently got a 5.9 million dollar grant to study this. Rae Ann Wessel from Sanibel Captiva Conservation Foundation says this is a first step in the right direction, but more needs to be done. “Establish standards for cyanobacteria particularly and start a testing program for air, water, and sand,” said Rae Ann Wessel, Director of SCCF. Educating the public and better signage at beaches is another key point Wessel made during her presentation. “All of a sudden you get a map that starts to show opportunities, missing information, research needs we can start to really help focus solutions where they are needed,” said Wessel.